Hotel Mont Rouge Nendaz, Hotel Switzerland. Limited Time Offer! Hotel Mont Rouge. "Hotel Mont Rouge" has received 3 stars. The residence is excellent for exploring Nendaz. The serene ambiance of "Hotel Mont Rouge" makes it perfect for those who want to de-stress. 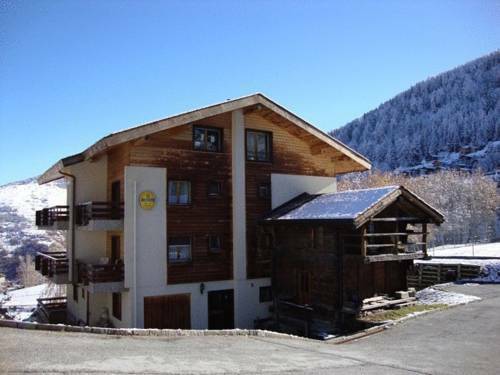 For guests who fancy sports, this accommodation offers skiing. There is no need to leave the comfort of the residence for dinner as there is an onsite restaurant. Staying in touch with family and friends is made easy with free of charge Internet access. Located in the heart of the Nendaz Ski Resort in the scenic Valais ski region, this rustic hotel offers a restaurant with terrace, and country-style rooms with flat-screen TVs and views of the Alps. The Toko Chalet Hotel & Restaurant is situated in Haute Nendaz, 2 minutes' drive from the Haute Nendaz cable car. It offers renovated rooms with balconies, fine cuisine, free Wi-Fi and free parking.